Keep up With Alice’s Clubhouse in the news! 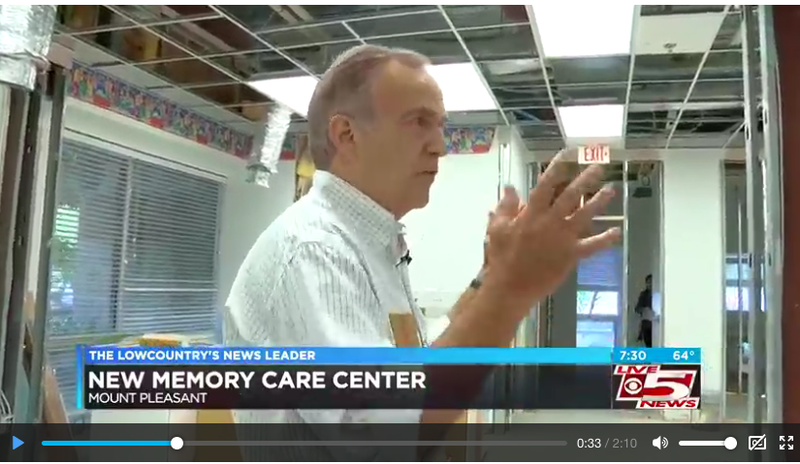 Our team discussed the unique care and support Alice's Clubhouse will provide to Charleston-area dementia sufferers and their caregivers on FOX 24 Charleston with Leyla Gulen - watch the quick interview below! Alice's Clubhouse president David AvRutick discusses the inspiration for creating a Charleston memory day care center on this episode of LowcountryBizSC's Entrepreneur Minute. David's mother Alice suffers from dementia, and is the inspiration behind the center's name and mission. "What has motivated us is to not only be able to provide help for my father but to everyone else in my father's position." There’s a new daycare in Mount Pleasant, but this place is far from typical. Alice’s Clubhouse opened this week. The memory care day center is designed for adults with dementia and early to mid-stage Alzheimer’s disease.